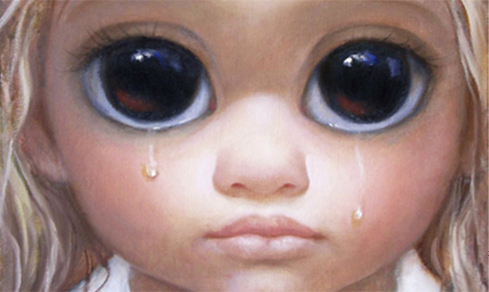 One movie I’m anxious to see though is BIG EYES – the story of Walter Keane and his wife. If you’re over 55 or so, you might remember those sad big-eyed children’s faces and you either loved them or hated them. Apparently enough people loved them at the time to make Keane an extremely well known and successful artist. Unfortunately, Walter wasn’t the artist – his wife was. He convinced her no one would buy the art if it were done by a female artist. She went along with the lie until he divorced her and she tried to convince everyone of the truth. I won’t spoil the ending if you haven’t seen it. I’m going to see how many I can find on Netflix. Happy Streaming and Happy New Year from all of us at The Art Shop!